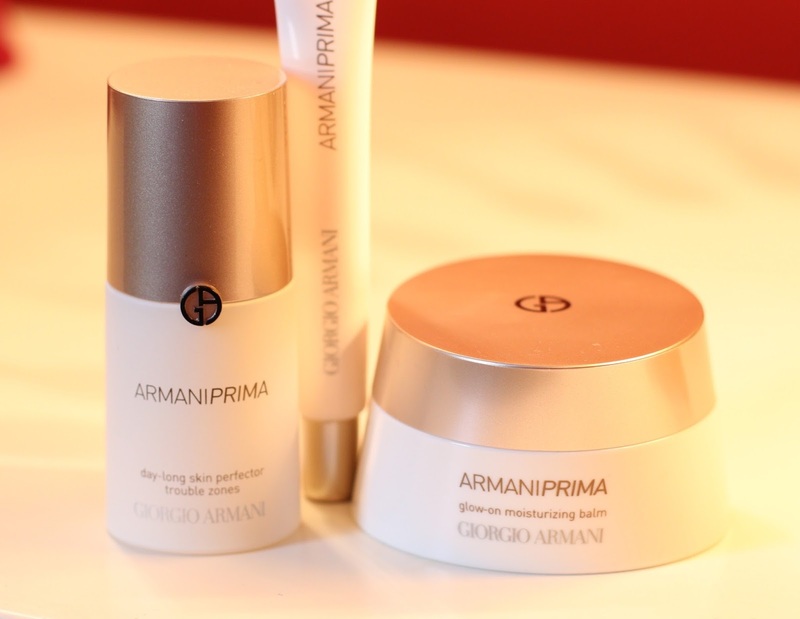 When I first started in the industry, and indeed even up to the first few years of this blog, skincare made by makeup artists or couture houses was a strict no-no. The couture houses have really upped their game, being cynical you could say that it’s probably because they can see the dollar signs, but also because many of them have the large financial backing of a large corporation to fund research/NPD and actually make products that are efficacious as well as aesthetically pleasing. Prima is designed to help those of us who find that their makeup loses its lustre throughout the day, no matter what you throw at it. Prima is almost a hybrid between skincare, a CC Cream and primer, which is how I’ve been using it. 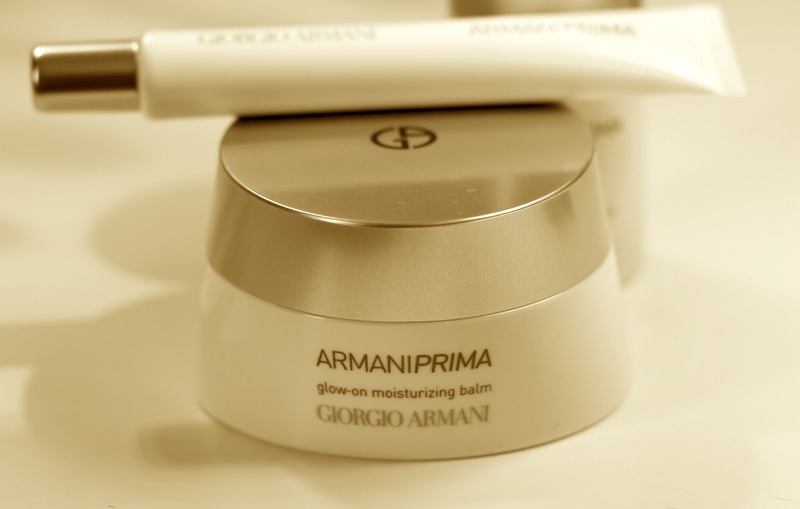 The Glow-On Moisturising Balm, used on top of my moisturiser, makes it hold better, glow better and look better. Fundamentally, the idea is that you don’t need to touch up during the day. So far so good, except for the very top 1/2 inch of my forehead or as I like to call it: ‘Hot Flash Central’. 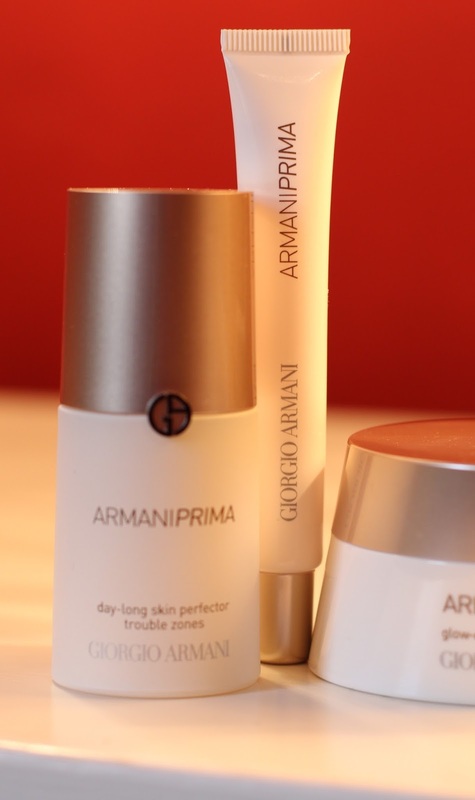 That needs help from above, not Armani. If you’re of the slightly more oily persuasion, you can use the Day-Long Skin Perfector on areas where you just know you’ll be shining by mid-morning such as nose, chin, forehead, eyelids or any areas specific to your skin. In this case, you are smoothed and mattified, but you have the same staying power. The Eye & Lip Contour Perfector is for those of us concerned with wrinkles/fine lines in the lip and eye area and it has a toning/firming effect as well as helping the makeup to grip. All three are released in the UK on 28th September but are available in the USA via Nordstrom.com starting at $70.00.